Johan Wedin, IT Manager of Technical Support at BillerudKorsnäs, knows what is required of a platform for effective IT support. He shared his experiences during the “IT Support i Fokus” conference. When Johan Wedin and his colleagues sought a new platform for their service desk, the goal was crystal clear. They wanted to primarily find a supplier that they could cooperate with. - It may sound obvious, but I’ve had experiences of other suppliers in my previous professional life, who basically just left us with some documentation and said thank you and goodbye after the delivery was done, says Johan. 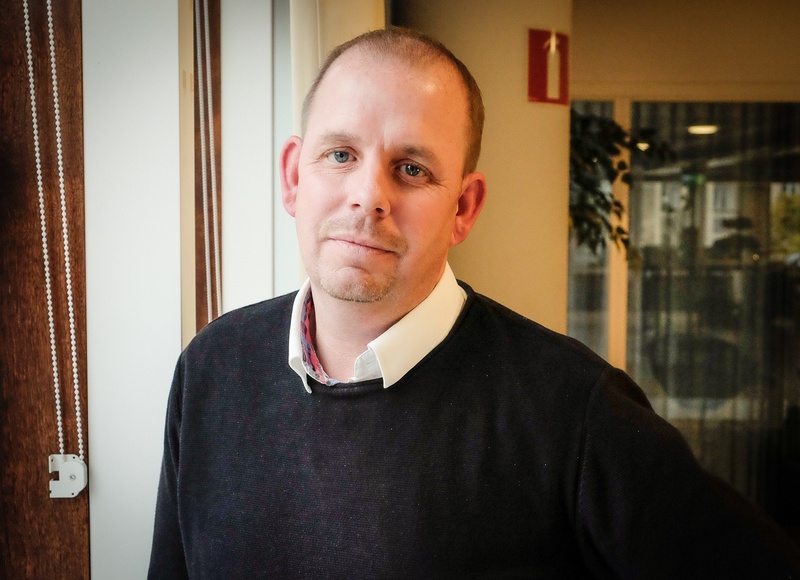 He is the IT manager of Technical Support at the Swedish paper manufacturer BillerudKorsnäs, and one of the people who helped to implement the new platform provided by the Finnish Efecte. The main goal was to implement a self-service portal, he told at the “IT Support i Fokus” conference held in Stockholm on 11-12 October. - We wanted to increase our automation, partly to streamline the work at the service desk, but also to provide better and faster support to the users, Johan explains. The portal is in place, though far from being fully developed. One of the properties that are highly valued in the new solution from Efecte is the possibility to integrate with other parts of the group's IT support. - By continuing to link to other parts, we can increase the degree of automation and simplify further, while getting better visibility, says Johan. Another part he is looking into is to develop opportunities for remote support. BillerudKorsnäs has offices in over 13 countries, but there is no opportunity to establish a full-fledged support organization in each location. Therefore, they will focus more on the remote support, including via chat and other remote tools. - It also means that we will be able to utilize our specialists better, because then they can take care of problems regardless of where it has occurred. The support professionals will get the opportunity to work from other locations or from home as well, at least to some extent, says Johan. In what other ways do you think the service desk needs to evolve to meet the new demands? - Particularly the younger users, which we already have more and more of, want to get help faster and also are accustomed to seeking and receiving information themselves, so I believe in a more developed self-service. - Among other things, I think we will make QR codes, for example, for printers and other equipment. When scanning such code, the user gets information to their phone that can help to solve the problem. At the same time a message is sent to the service desk so that they can follow up later and check that the incident is resolved, explains Johan. One of the points that Johan took up during his presentation at the conference was about one of the ongoing projects with Efecte, the development of a so-called Runbook. In short, a Runbook is a way to gather all the possible information about each system, which is required to handle a case as effectively as possible, in both routine maintenance and the problems or any kind of emergencies in the system. That in itself is nothing extraordinary, but when Johan and his colleagues were looking for a suitable solution they realized that using Efecte is the most convenient for this, because all of the information that should be in a Runbook already exists in the Efecte Service Management system. Efecte has confirmed that they want to help and develop the Runbook functionality in the system. - It really shows the value of having a partner who listens to us and is willing to cooperate, says Johan.